COIMBATORE: A statue of ‘Adi Yogi’ was unveiled at the Isha Centre on the occasion of Guru Pournami celebrations here Saturday. 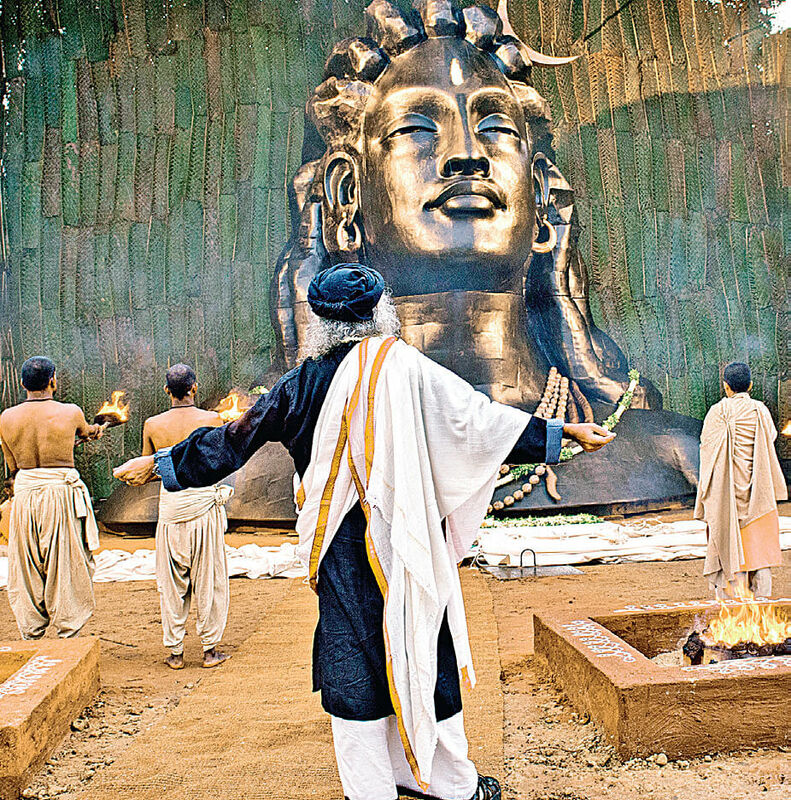 The 21 ft tall steel statue, a bust weighing over 30 tonnes, was personally designed by Sadhguru Jaggi Vasudev, founder of Isha Yoga, according to a spokesperson of Isha Centre. It took close to three months for a 15-member fabrication team of the Ashram to complete the work on the statue. It was the same team which had sculpted the huge Nandhi statue at the Ashram. Unveiling the statue, Vasudev said “When we say ‘Shiva’, we are referring to the Adiyogi or the first yogi, and also the Adi Guru, the first Guru, who is the basis of what we know as the yogic science today.” According to him, the first full moon of Dakshinayana is Guru Pournami, the day when Shiva, started preaching. Hence, the day marked the birth of the first guru, he said.